Have you ever wondered how to save money on exercise equipment? You don’t always needs to buy the newest high tech exercise equipment on the market to get into shape. Exercising is a fact of life and just really needs to be done and, although we might not always like doing it, the chance to exercise and follow through on your own terms often makes a huge difference. Having said that, when it comes to buying expensive gym memberships, if you are like me or countless other people you could burn quite a big hole in your pocket book. Purchasing high-tech exercise equipment can do the same thing. How many people do you know that make a New Years resolution to lose weight and run out and buy the best high-tech exercise equipment on the market and within a couple months it ends up be ing the perfect place to hang your clothes. Memberships to gyms seem to be no different, you purchase a membership with great intentions but after a few months your enthusiasm peters out but you signed a contract and you are still paying. I’ve purchased quite a few gym memberships over the years and I’ve finally come to the conclusion I would rather exercise at home. For me it’s just a matter of convenience since I work from my home office. Some people really enjoy going to the gym for the interaction and the trainers. I guess to each his/her own, but with the busy lifestyles people have most people find it difficult to go to the gym regularly. I know I’m just speaking as an average person, but even looking back at our daughter who was in training for the olympics and won many gold medals in National competitions and even to this day says that she would rather train at home than in any gym. Our two sons were also in competitive sports. One raced motocross and played football and the other played rugby. Because of that we always had to throw together some sort of gym for them to train in. Money was not always that easy for us so we improvised. That is what got me thinking about writing this post on how to save money on exercise equipment. 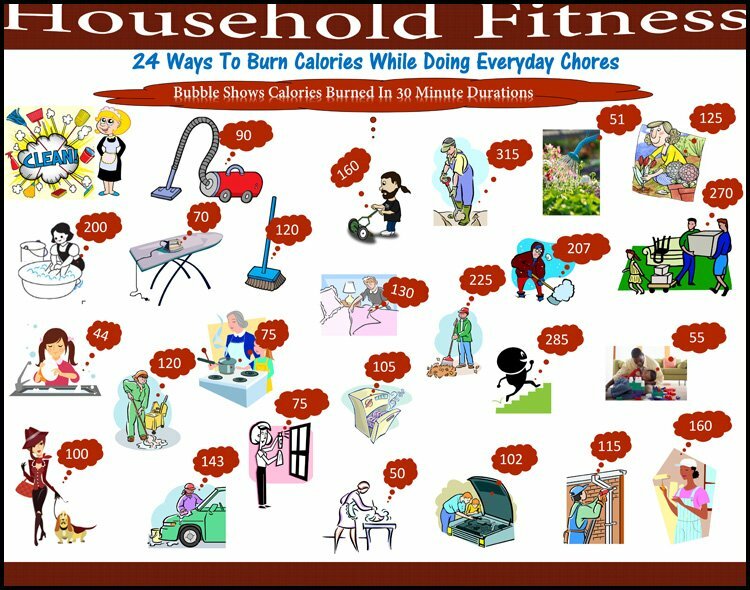 There are several easy ways to exercise at home without going broke so keep reading. Exercise means doing any type of physical exertion that will benefit your well-being. Taking a look at it in this way, you’ll find a wide range of activities that would count as possible exercise that doesn’t require any equipment in any way. For instance, cleaning the house is a really good cardio workout in spite of the fact that it’s not that strenuous. If you’re wanting to find something more of a challenge, you could try jogging or walking along with other cardio exercises for instance even dancing. While jogging and dancing could give you a pretty good aerobic workout, they may not help you to build the muscles you want to have. For that, you could use your own body weight for strength training which might include pull-ups, push-ups,and squats. These body weight workouts can easily be done in just about anywhere in many forms, and variations, which would certainly further challenge your muscles. Interval training incorporates high intensity strength and cardio exercises in a circuit to give you a very challenging workout. Plus, you don’t actually need expensive equipment. In most cases, you’ll be able to perform a simple yet effective interval training session with just one dumbbell or perhaps even without weights. Instead of a treadmill or exercise bike, bicycle or jog up an actual hill. Instead of a step aerobic class use your back stairs or even a curb. Improvise with things that are around you. You’ll be surprised how fit you can get if you just use your imagination. When my daughter and sons were training they varied there workouts, quite a bit. We had farm and horses, so when it came to getting the bales of hay off the field they would jump at the opportunity to help. My daughter especially loved it and would say it was probably some of the best workouts she ever had. Now my daughter weighed 100 lbs. or less at the time and would jog along side the truck and trailer and would stop pick up a bale of hay that weighed around 60 -100 lbs. and throw it up on the trailer and then jog to the next one an do it all over again until 150 bales were picked up. The boys and my daughter would have there own competitions to see who could last the longest. 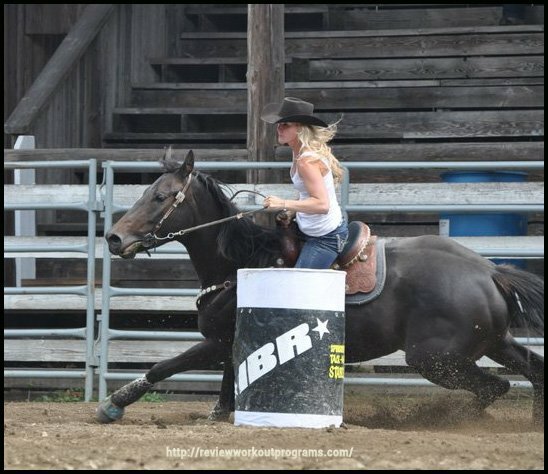 Oh, I guess I should mention my daughter was a wrestler for over 6 years before she decided that she wanted to rodeos and compete. If you are wondering they are all grown and on their own and still working out but none of three will go to a gym. They would rather workout at home. These ideas might be well and good, however, there is a time when equipment will come in very useful. In cases like this, you could purchase cheap equipment like dumbbells. Furthermore, you could think about buying previously-owned exercise equipment at a considerably lower price. Garage sales are a really good place check out exercise and fitness equipment, and most likely chances are that you could even find a good treadmill at one. Another good alternative to buying expensive equipment is to look for or purchase exercise videos. Nowadays you can find many types of exercise videos including dance-based, boxing-based or even martial arts based videos. However, it’s important to research on the various videos available to find out which ones are effective and suitable for your level. Another really good substitute for buying expensive exercise equipment would be to try and find or purchase exercise videos. Lately there are plenty of kinds of exercise videos including dance-based, yoga, pilates, boxing-based or perhaps even martial arts based videos. Having said that, it is important to do some research on the different types of videos that are now available to find out exactly which ones would be suitable for your level. So now as you can see, there are plenty of alternatives available other than or in addition to using expensive exercise equipment and come to think of it most are free or relatively low cost. 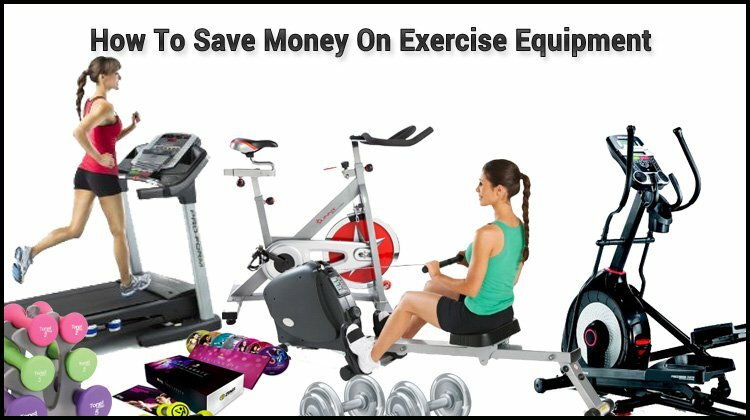 I hope this page gives you some ideas on How to Save Money On Exercise Equipment but in the end you must remember to focus on your fitness goals and you really need to keep in mind that an awesome collection of exercise equipment is really not your goal . Buying that exercise equipment is only a means to an end. Oftentimes, all that is needed to get into shape is a capable body and the right mindset. So use what is available and get up, get out, start moving today! If you have any other ideas of How To Save Money On Exercise Equipment please leave your suggestions below or if you have any further questions I’ll be sure to answer them as soon as possible!